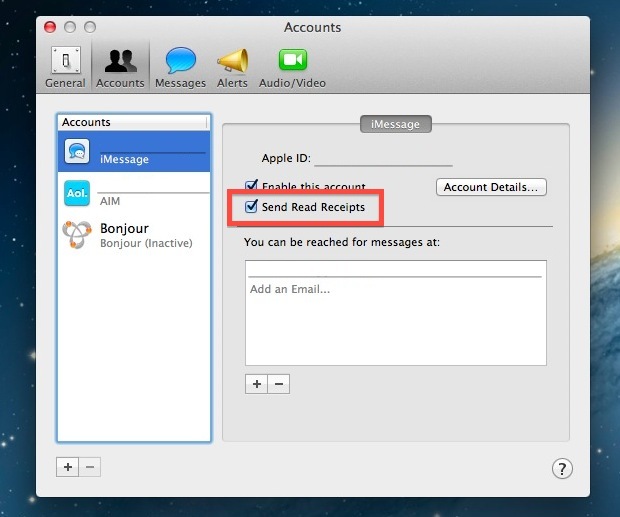 Read Receipts show the sender of a message that a message has been delivered these are enabled by default in iMessages for iOS, but they are disabled by default in Message for Mac. If you’re interested in having the read receipts sent along with each message received on your Mac, you can toggle a setting to do so. 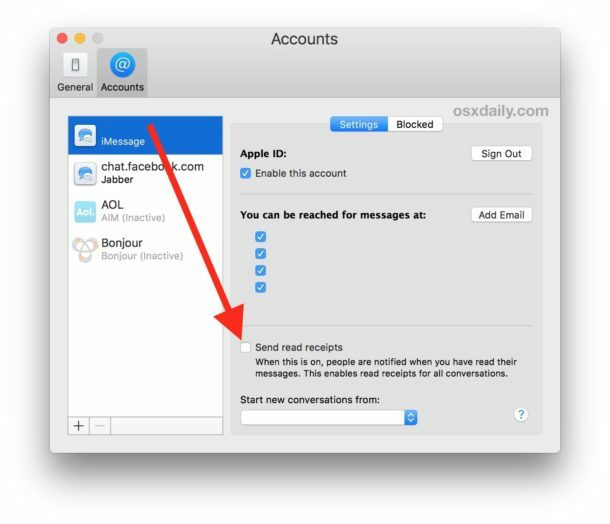 Note that the sender (and recipient) must have iMessage active and enabled, as this setting does not impact the other instant messaging protocols from the Messages app, be it AIM or Facebook. The next messages received on the Mac will no longer send out the “Read” or “Delivered” message to users who are also using the iMessage protocol to contact you (whether it’s from another Mac, iPhone, iPad, iPod touch, whatever). Of course, to turn the receipt feature back off again simply go back to the app settings and uncheck the box. Whether you like the feature or not is really a matter of personal preference, though many individuals choose to turn it off for privacy purposes, while others want it on for acknowledgement. For the time being, there is no way to specify read receipts for specific contacts, though that would be a great option for many of us. This feature obviously requires the iMessages for Mac client, which is included in Mac OS and Mac OS X by default. Is there a way to completely delete the iMessage conversation.Clicking on the name in the Source list only deletes the name and conversation from view. I can’t seem to find a setting that will completely delete the chat from my Documents folder. It erks me it has to be enabled like on iPhone. It should be the otherway around.